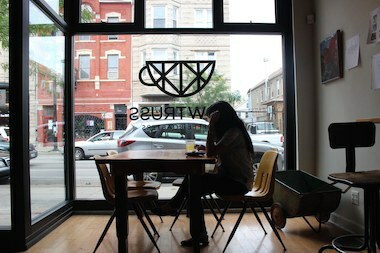 Explore the most renowned coffee shops in Chicago. If you are serious about your coffee (and I am not talking about you Frappuccino drinkers, cause well, that doesn’t count for anything), then you must go on the Caffeine Crawl in 2017. If you only do a couple of enjoyable things this year, then this needs to be one of them. While you are probably questioning my seriousness upon this lighthearted topic, just know that it is because coffee is so much more than just a caffeinated beverage to me. If you are like me, and would rather spend your time in a quaint coffee shop reading and writing rather than doing basically anything else, then you will fall absolutely head over heels for this event. I know I did. It all starts when a city is chosen. The organizers of the event pick a city and create an itinerary that will immerse you into the vast coffee culture of the city. There are usually about eight different itineraries that vary in transportation, date, and time. After you pick your route and pay for your ticket (usually around $25-$40) you are ready to start your tour. Upon arriving at the first coffee shop, you will be given a little gift bag full of coupons and samples and will get to pick out a cup of coffee from the menu. From there, you will travel to several other coffee shops where you will learn tons of new information and sample lots of different pastries and coffee. Along the way, you will meet new people, have incredibly advanced conversations about coffee, and experience delightful new atmospheres and beverages. 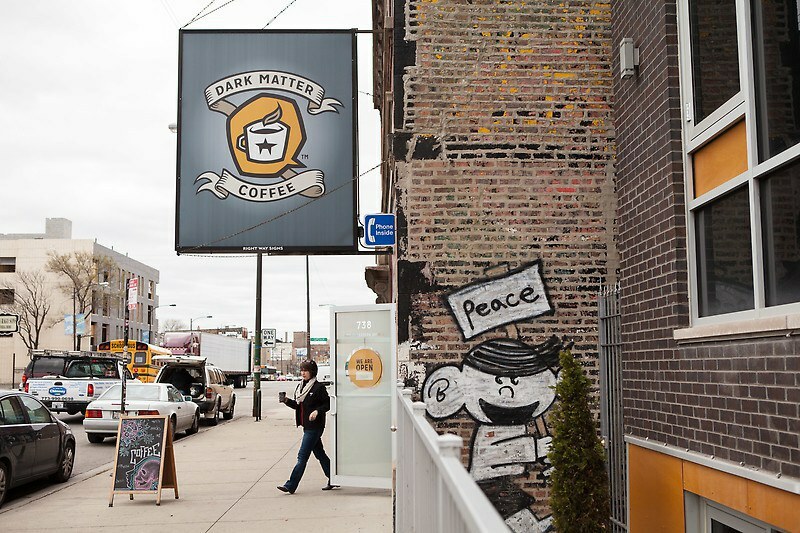 The first stop for my tour group was at Dark Matter Coffee, located on West Chicago Avenue. 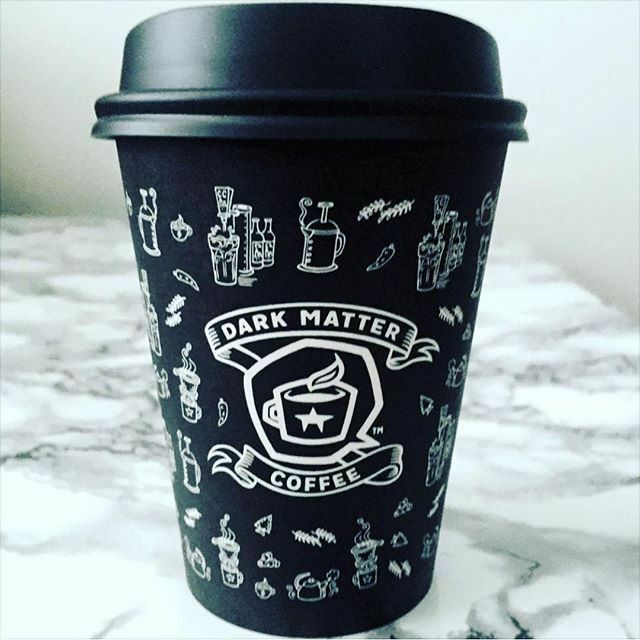 I got a vanilla latte on the house and had the pleasure of listening to a very interesting presentation about how Dark Matter fermented and roasted their coffee beans. I was taken aback by the complexity of the coffee. You could definitely tell that their product meant everything to them. As I listened to the marketing director speak so passionately about the brand that he represented, I got a sense of just how much work and effort actually went into the little cup of coffee that I was sipping. I then drove to The Eastman Egg Company coffee shop located on North Wacker Drive. This was probably one of my favorite shops on the tour, seeing as the aesthetic of the shop is incredible. As you walk in you see large wooden tables that give the place an immense warmth. 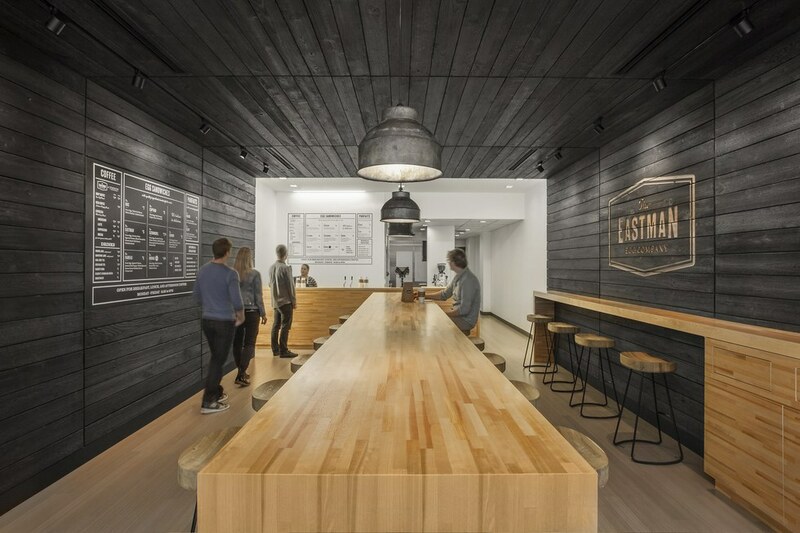 The black wooden panels lining the walls gives the shop its unique look. The aesthetic was only the beginning, though, as we were encouraged to sample little pastries and chocolates made in-house. It was here that one of my fondest memories of the tour occurred. There was a tray of little bite-size lemon meringue pies and a pot of dark roasted coffee sitting next to it. I took a bite of the little pie and washed it down with a sip of the dark coffee, and something magical occurred. It was perhaps one of the best flavor combinations I have ever tasted, with the sweetness of the lemon meringue and the bitterness of the warm coffee. Absolutely delightful. 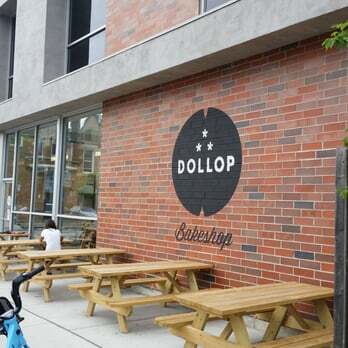 The next stop on the tour was The Dollop Coffee Company shop, which was a little cafe tucked between large buildings. It had a very clean modern appearance to it. I didn’t have much time to appreciate the aesthetic, as we jumped right into things. We tried three different roasts, from light to dark. The thing that makes this café really unique is their Kyoto cold brew coffee that drips one drop at a time. You can see the large Japanese contraption used to brew the coffee right as you walk in. The café employee told our group that they only make a couple of pots a day because it takes so long to brew. The Kyoto was unlike any coffee I had ever tasted before, it was so rich and dark that it almost had a bourbon flavor to it. After finishing up at The Dollop, we headed down to Bow Truss Coffee Roasters located in River North. This shop had a great vintage feel to it, as worn brick-lined the side of the entry and repurposed furniture filled the room. The shop and the coffee had an incredible boldness to them, that sets them aside from the rest. 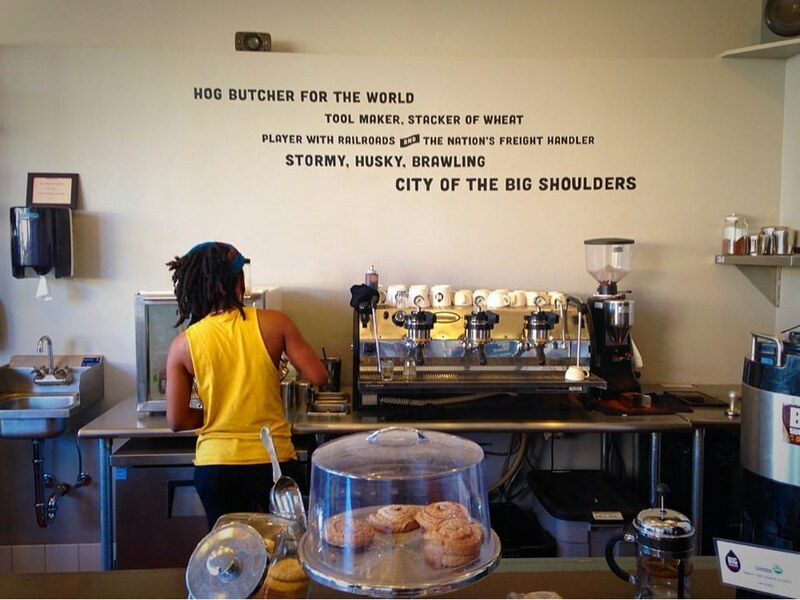 We then embarked on our last stop; Big Shoulders Coffee, located on Chicago Avenue. This shop had a very cozy feel to it, and the staff was comprised solely of hipsters (which is always a bonus). The barista asked the group what we wanted to try, and then whipped us up a couple of different drinks. Their pour-over was incredible, and their staff favorite; which was a spicy chai latte, was surprisingly next level. As I left the tour, I felt absolutely enlightened, and not just from all of the caffeine. I had met a ton of people who shared the same passion that I did. I got to try way too much of the best coffee that Chicago has to offer. On my ongoing quest tolearn more about the magnificent city of Chicago, I have found this crawl to be perhaps one of the best learning experiences. I would HIGHLY encourage everyone to partake in one of the twelve Caffeine Crawls that will take place in 2017. So far, they have announced that San Diego, Houston, and Oklahoma City will have the privilege of hosting the event. They have yet to announce the nine other cities that will partake in the crawl. I am very hopeful that Chicago will be chosen as one of them. To keep posted on the location of the next crawls, follow them on Facebook or check out their website. Pro-Tip: Don’t drink all of the coffee that you are given, just take little sips to enjoy the flavor and avoid a huge headache.